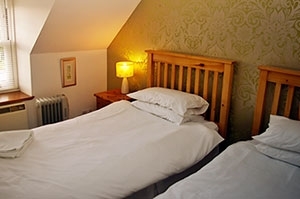 Keeper's Cottage provides comfortable accommodation for up to four people. 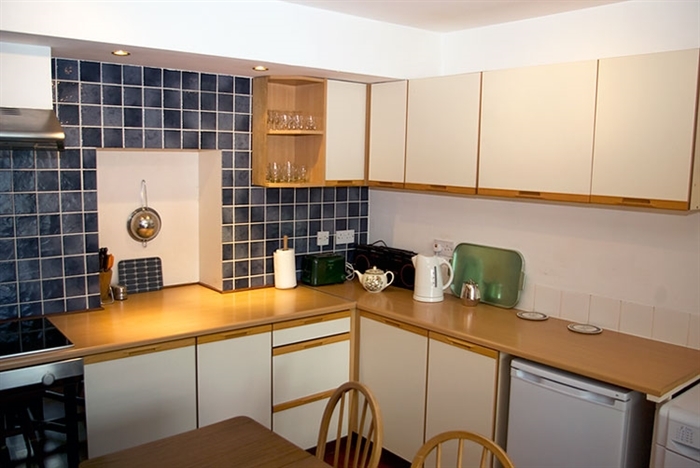 Only six miles from Portree, the former gamekeeper's cottage, with loch views, is the perfect base for discovering Skye's beautiful scenery and diverse heritage. At Skeabost Bridge is the idyllic Skeabost Country House Hotel, with restaurants and bars and an 18-tee, nine-hole golf course open to the public. Day and half day tickets are available for adjacent River Snizort, Skye’s foremost salmon river. 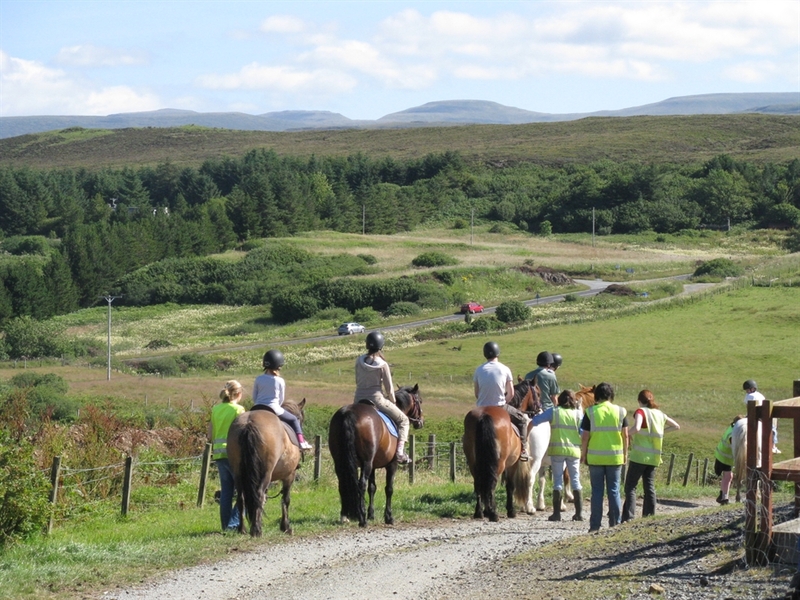 Nearby are many other opportunities for anglers and two pony trekking centres. Skeabost is only six miles from Skye’s capital, Portree, and within easy reach of Dunvegan with its famous castle and seal colony. The village is convenient for the Uig ferries to the Outer Isles. 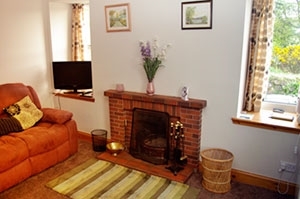 Downstairs, the well-equipped cottage comprises a lounge, with two very comfortable two-seater settees and television/DVD player, a character kitchen with modern appliances, entrance hall and lobby. 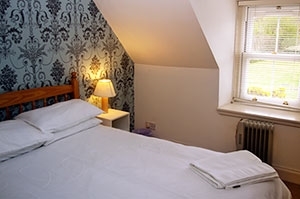 Upstairs are two comfortable double bedrooms – one with a double bed and loch views, the other with twin beds – and a shower room and toilet. 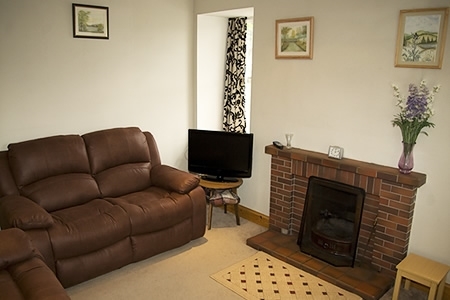 Heating is by electric storage heaters, with a traditional open fire available in the lounge. The cottage has parking spaces for two cars and sheltered “sitting-out” areas. 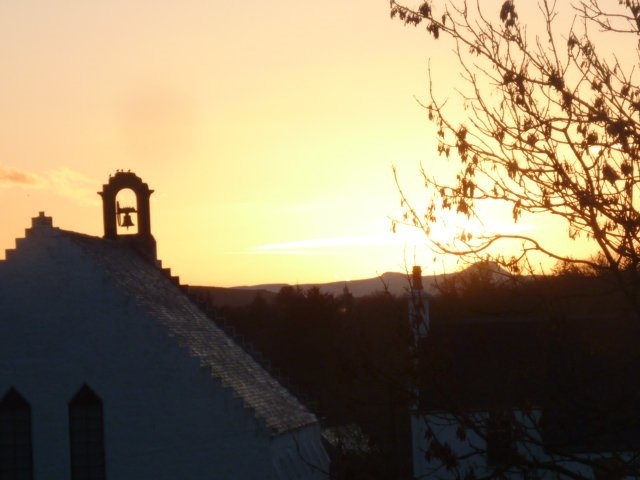 WiFi broadband is available and a wide range of information literature about the area. There are books, games and DVDs. 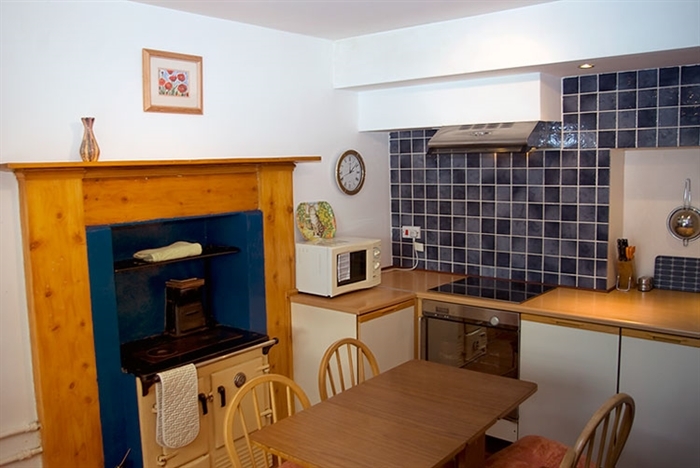 Open all year round, Keeper’s Cottage is dog-friendly and there is a large grass field opposite the cottage where dogs can be walked. Còsagach– an old Scottish word which describes the feeling of being snug, sheltered or cosy – has been identified by VisitScotland as Scotland’s rival to the Danish concept of Hygge. "Cosy" is one of the words most used by visitors to describe Keeper's Cottage at Skeabost Bridge. Even the name Skeabost means "sheltered house".